The Roman Emperor Constantine’s mother, St. Helena, a convert to Christianity, went on a pilgrimage to the Holy Land to locate where the important events in the life of Jesus Christ occurred, and to preserve the relics of the Christian faith that remained there. One of her goals was to find the place of Jesus’ crucifixion and the very Cross on which he was hung. Through interviewing many locals, and with the assistance of the Bishop of Jerusalem, St. Macarius, she discovered the spot and found the True Cross which had been previously hidden by the Jews. The date of this discovery and miracle, according to tradition, was May 3rd, 326 A.D. St. Helena had a church built on the original site of Jesus’ crucifixion, burial, and resurrection, known as the Church of the Holy Sepulchre. Her son Constantine dedicated this church on September 13-14 in the year 335 A.D. Even today, the Stations of the Cross in Jerusalem, or the Via Dolorosa, end at this very spot. The Church has a long tradition of venerating the Cross, that’s why Catholic and Eastern Orthodox churches always have large crucifixes in prominent places. In the Catholic Church venerating the Cross is a liturgical tradition during Holy Week. It’s also why Catholic Christians and Eastern Christians keep crosses and crucifixes in their homes, usually on their wall or above their doorway. In fact, a cross or a crucifix put in a place of honor is a sure mark of a Christian home. 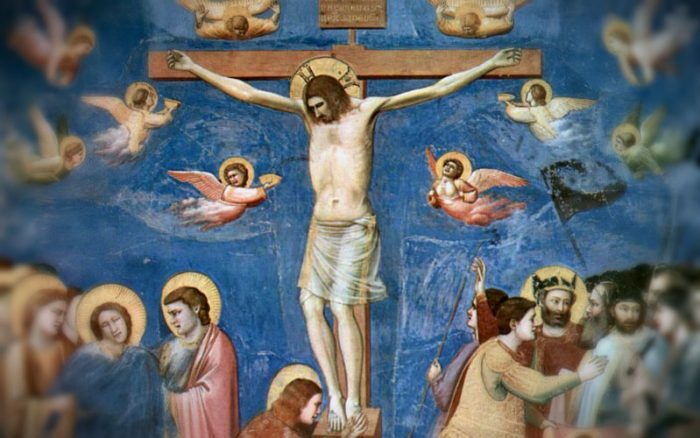 If you don’t have a cross or a crucifix in your home, consider choosing one on this special feast day, have it blessed, and place it in a prominent place in your home where it will be honored and venerated. This article originally appeared in Catholic Company’s Get Fed.